I try to avoid writing posts that focus on politics. The country is so divided right now that there seems to be little ability to persuade. I did write about the Kavanaugh confirmation hearings, offering my observations and trying to avoid taking a side. The exception is this post about voting. Regardless of your political persuasion, voting is one thing that almost everyone can agree is a good thing. Tomorrow is the culmination of campaigns all across the United States for elected positions at all levels of government, including, perhaps most importantly, for every seat in the House of Representatives. Since I live in California, there is not much mystery with regard to state-wide offices: Democrats dominate California. I’m still going to vote, though, because in California there is a process whereby citizens can put propositions on the ballot that impact the State. An example is Proposition 6, which would repeal a gas tax that was passed by the legislature in 2017. Californians pay more for gas than almost anywhere else in the country and given the car-centric nature of the State, it is no mystery why a gas tax would be unpopular. The money raised is supposed to go toward transportation infrastructure. Any Californian will tell you that our roads, bridges, etc., are in need of constant maintenance and rebuilding. Those in favor of Proposition 6 complain that nothing in the gas tax law requires that the money raised be spent on transportation infrastructure. Supporters of the gas tax, including Governor Jerry Brown, warn that repealing the gas tax will have dire impacts on transportation infrastructure, and, by extension, public safety. In my view this is one of the more consequential propositions on the ballot and I hope that Californians will turn out and vote, one way or the other. To my fellow citizens in the rest of the United States, remember that the ability to vote is not shared by everyone in other parts of the world. Take advantage of this opportunity to exercise your right. If you don’t, and you are subsequently unhappy with how things are going, I think you’ll regret standing on the sidelines. Happy election day! Now get out to your polling place! Just when I thought that some level of consensus had formed around the death of Eric Garner in New York, I got into quite a discussion while posting comments regarding an article someone forwarded to me. If you don’t want to read the whole article, the author concludes that he “cannot in good conscience say there was insufficient probable cause to indict Officer Pantaleo for involuntary manslaughter or criminally negligent homicide.” His conclusion is based on a standard of reasonableness as regards the use of force by the police. Oh boy. Here’s the string of comments that ensued, along with my replies. The handles of the other posters have been changed. That’s the whole string. Is it just me or do these other posters seem completely out to lunch? When I was a kid, I saw a cartoon premised on a frog who lived in a cigar box. 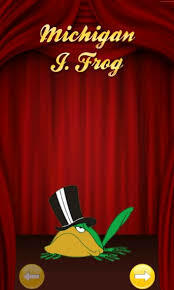 The frog would only sing and dance for the person who found the cigar box and opened it. The person unfortunate enough to find the frog would, inevitably, try to make money presenting the frog in theaters, but the frog would never perform in those conditions. The person who found the frog would thus be humiliated and take the frog home, at which point the frog would continue it’s act. I imagine that people who claim they’ve been abused by the police might feel a bit like the person who found the frog, trying in vain to convince others of their experience. I remembered the cartoon when I saw the video of the police in New York trying to arrest the guy accused of selling loose cigarettes, who died of a heart attack due to his mistreatment. For once, it seems, most everyone saw the same thing, regardless of race. There are protests going on and the protesters are a diverse group. Also, the protests have been peaceful, which lends added legitimacy. This is progress. 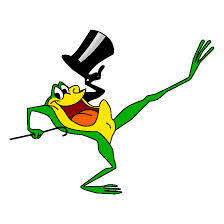 Let’s be happy that the frog is finally singing for a wider audience. Second, we don’t need to guess about what happened, or rely on witness statements, or forensic evidence, or the judgement of the jurors. Why? Because there is video. Everyone can look at it and reach their own conclusion. I’ve looked at the video and it is difficult for me to believe that the officer will not be charged with a crime. So if it isn’t a race issue, what is it? To me, it’s a broader indictment of a criminal justice system that is biased when it comes to the very people who are sworn to uphold the law. I’ve had to think awhile to be able to write about the latest victim, Peter Kassig, shown in the beheadings that have been videotaped and posted on the internet. I’ve questioned whether to write about it at all, but this is on my mind, and it’s an important topic. My understanding of Peter Kassig is based solely on media reports. I didn’t know him. He was honorably discharged from the Army Rangers and then created a non-profit to provide assistance to victims of the civil war in Syria. He was abducted by terrorists while providing aid in Syria, held for over a year, then murdered. The evidence of the murder is a video recording, showing his severed head on the ground. I haven’t viewed any of the beheading videos, and I encourage others to avoid them. Why? Because the terrorists are putting them on the internet, so, obviously, they think they gain an advantage by doing so. I make an exception for government officials and reporters. Someone has to watch it. I imagine it’s a terrible burden. The stuff that should be on the internet is the work that Peter Kassig did before he was murdered. There are many more acts of courage and generosity that occur on a daily basis than there are acts of brutality and cruelty. I encourage the media to consider this going forward. What if the media used the same approach as the terrorists; understanding that content has an impact? Tell Peter’s story, and people like him. By that I mean celebrate and magnify good people. It’s crazy that there are so many people who do good works, struggling in obscurity. Meanwhile, murderers have a large audience, presenting material that would, just a year ago, be unthinkable. And it should be free on youtube, as was the video created by the terrorists. The terrorist video of Peter Kassing should not be the last comment on his life. Someone needs to produce a film about his life that lionizes him as a hero. I’ll speculate here about the fact that the video, which I have not seen, varied from the previous videos. There is no video of him submitting to his captors and making anti-American statements prior to his execution. One of the things that has forced me to think about Peter is the possibility that he resisted his captors, perhaps to spare his parents from the real-time act of his submission and the horror of his murder being posted on the internet. Think, for a moment, the role his memory might play in the battle between dark and light. He is a hero. Well, just when I was feeling upbeat, along comes the barbarian horde with a new beheading video. I’m not going to write about that today, though, except to send my thoughts and prayers to the family of the latest victim, Peter Kassig. Instead, I’m going to talk about a relatively happy topic. See? Anything can be happy, relatively speaking. Hopefully this winter will be a wet one, but it’s become increasingly clear that a long term solution to California’s water supply is needed. Water is the biggest issue facing the Golden State. A lot of people don’t think about it unless there’s a drought, but the issue is always there in some form. Whether it’s the push and pull between agricultural, industrial, and residential use, or the environmental degradation in the Delta, the issue never really goes away; it just goes off the radar. My suggestion is to recycle waste water and put it back into the fresh water system. I know, I know, but believe it or not there is technology to recycle water that makes it cleaner than the water that comes out of your tap. It’s called reverse osmosis and it’s already being used in the Bay Area to provide super-clean water for the Chevron oil refinery. Chevron partnered with a water district to build the facility because the recycled water is so clean that it reduces the calcification in the pipes that cool the refining process, thus resulting in reduced maintenance costs. Yes, it would be expensive to build the facilities to recycle enough water to satisfy all the needs, but it couldn’t be any more expensive than building more dams, or that water tunnel that Jerry Brown wants to build. Plus, the voters just passed a huge bond measure to deal with water supply. It seems like Australia is taking the lead on recycled water, due to their own periodic drought problems. So let’s take a clue from our friends down under, grow up and get over the ick factor, and deal with our water issues once and for all.